Are you thinking of what to give your friends and young colleagues on your gift list this Christmas? They would surely love accessories such as earphones and power banks for their gadgets. 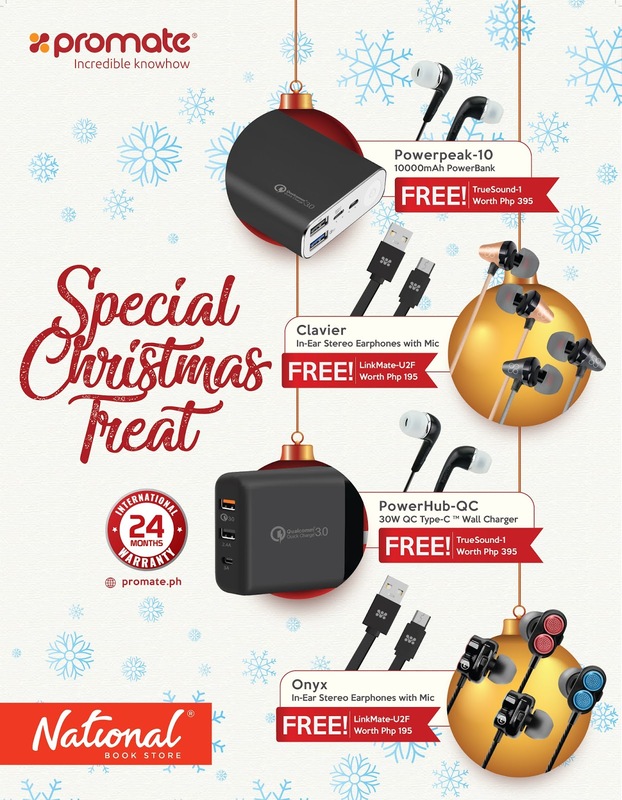 Promate, the global leader in consumer electronic accessories for mobile, tablet and computers, recently launched its Special Christmas Treat at National Bookstore and Powerbooks. These charging gadgets from Promate are powerful and very functional. PowerHub-QC 30W QC Type-C Wall charger has a fast charging function that allows you to quickly charge your gadgets. Promo runs from November 15, 2018 to January 15, 2019. All Promate products come with a warranty of 24 months.